Members of the All Progressives Congress who are not in support of party’s candidates for national assembly positions have been told to support it or leave. 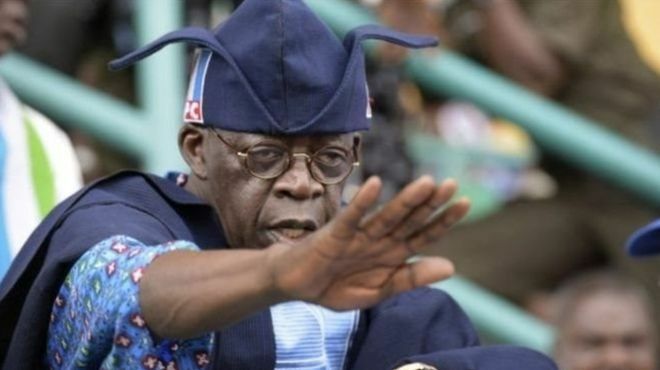 Bola Tinubu, the national leader of the ruling All Progressives Congress, APC, said that party discipline would be upheld in addressing the leadership tussle of the 9th National Assembly. Mr Tinubu said this while speaking with newsmen in Lagos on Friday after a Prayer Programme organised by Islamic and Christian clerics to mark his 67th birthday. The ruling APC recently endorsed the candidature of Ahmed Lawan and Femi Gbajabiamila as President of the Senate and Speaker of the House of Representatives. Mr Tinubu said that the APC party was in government for the common man.